While French presidential candidates Emmanuel Macron and Marine Le Pen disagreed on mending relations with Russia’s President Vladimir Putin in a heated debate Wednesday, Macron conceded that Moscow is vital in solving the Ukrainian and Syrian conflicts. The Wednesday debate, livestreamed by France 24, presented National Front’s Le Pen and former economic minister and a leader of centrist En Marche party Emmanuel Macron with the last opportunity to drum up voters ahead of a runoff Sunday as they were grilled by TF1 and France 2 hosts for over two hours. 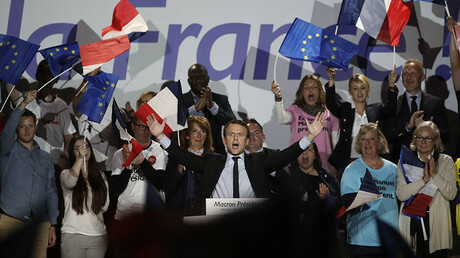 Apart from weighing in on an array of domestic issues, including social security, the fight against a persistent terrorist threat, tax policy and other topics, the candidates also unveiled their visions of France’s position in the world and its relations with the Trump’s US and Moscow. 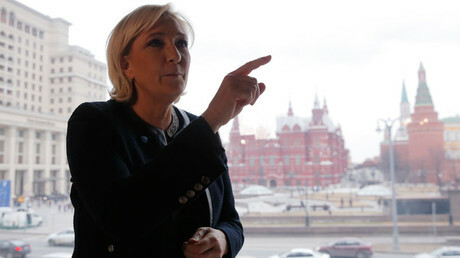 Le Pen, who in known as a proponent of a foreign policy that is free from Brussels or Washington’s meddling, has said France’s stance toward Russia should be based on the record of bilateral relations, which so far has been positive. She went to stress that it’s only up to France to decide what kind of relationship it wants to have with Moscow. Speaking to RT after a meeting with Vladimir Putin in March, Le Pen argued for lifting economic sanctions imposed on Russia that “actually have been forced upon us by the European Union” and said that France should not be constrained by other parties in improving relations with Moscow. Macron, who is mooted by the pollsters to emerge as a winner of the vote on Sunday, also admitted that since Russia is involved in the conflicts in Syria and Ukraine, it is necessary to learn to talk to Moscow. "Mr. Putin has put several conflicts on the table – the Ukrainian conflict – which we must deescalate, and in the conflict in Syria, Russia is part of the solution,” Macron said, while promising that he would not cave in to the demands of the Russian president. “I will not accept that my behavior be dictated by Mr. Putin. We will not submit to Russia or Mr. Putin’s values," he stressed, accusing Le Pen for acting at the behest of the Russian president. In her turn, Le Pen claimed a pro-EU Macron would adhere to whatever policy is championed by Germany as the leader of the EU. The former investment banker, who once was a part of the outgoing French government but seeks to portray himself as an independent politician, has previously accused the Russia media, including RT and Sputnik, of disseminating false information about him aiming to derail his presidential campaign. 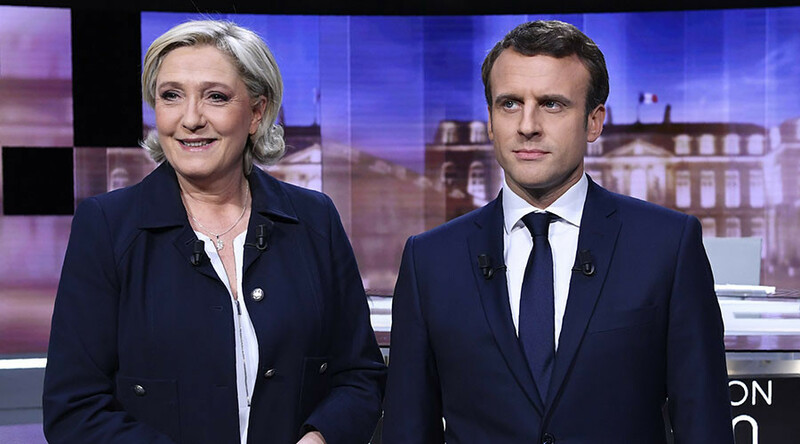 According to a poll published by Elabe, Macron appeared as more convincing to 63 percent of voters following the debate, versus 34 percent who thought Le Pen got the upper hand. In the first round of the presidential elections, Macron gained 24.01 percent of the vote, versus 21.3 percent for Le Pen.